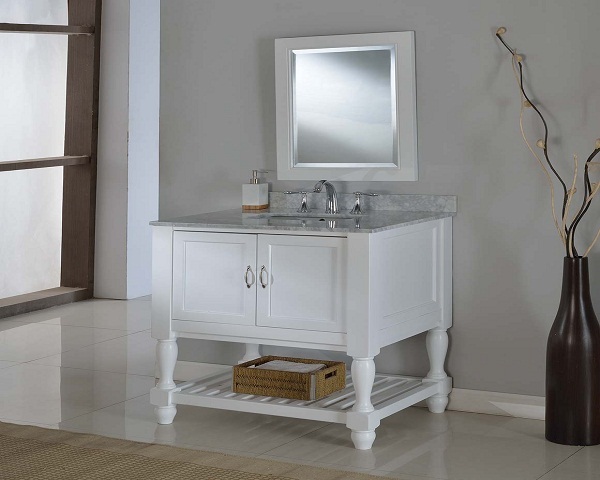 32"" pearl white Mission Turnleg Spa Premium single bathroom vanity sink console with white Carrara marble top perfectly combines contemporary and traditional styles for your bathroom. We've added turn legs to our exclusive mission double vanity console for a more classy style. 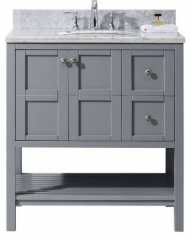 The pearl white finish wood vanity cabinet features two doors with satin nickel pulls. 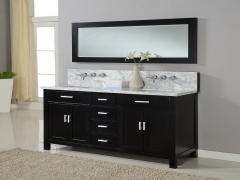 Additional storage space for bath towels and accessories on the open bottom solid wood plank shelf also is featured in this vanity cabinet. 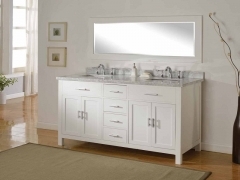 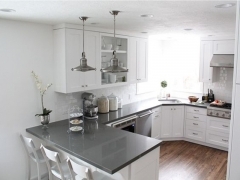 All cabinet frames, door frames, shelf and legs are constructed of solid birch wood. 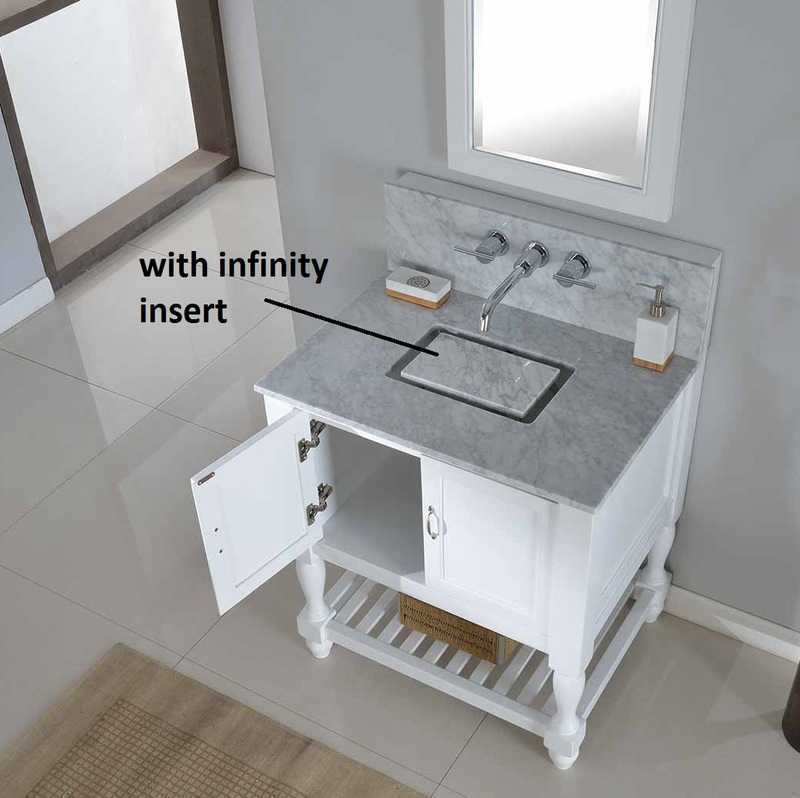 Added with an infinity under-mount convertible sinks as a SPA like water feature. 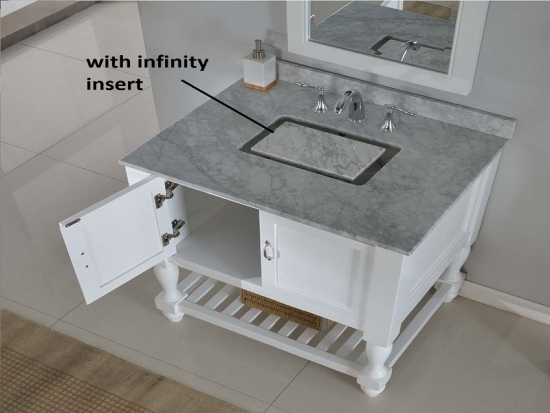 Best of all, this unit is made ready with wall mount faucet, Surely will WOW your guests in your powder room. 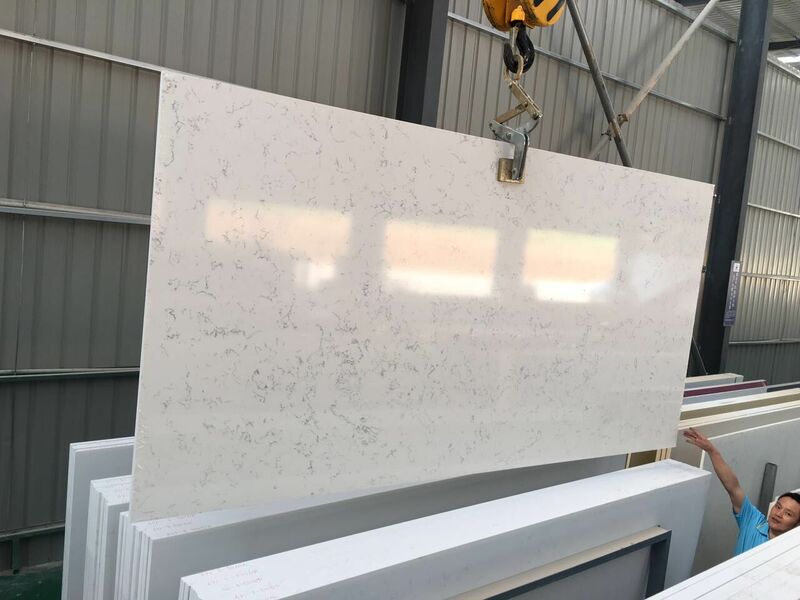 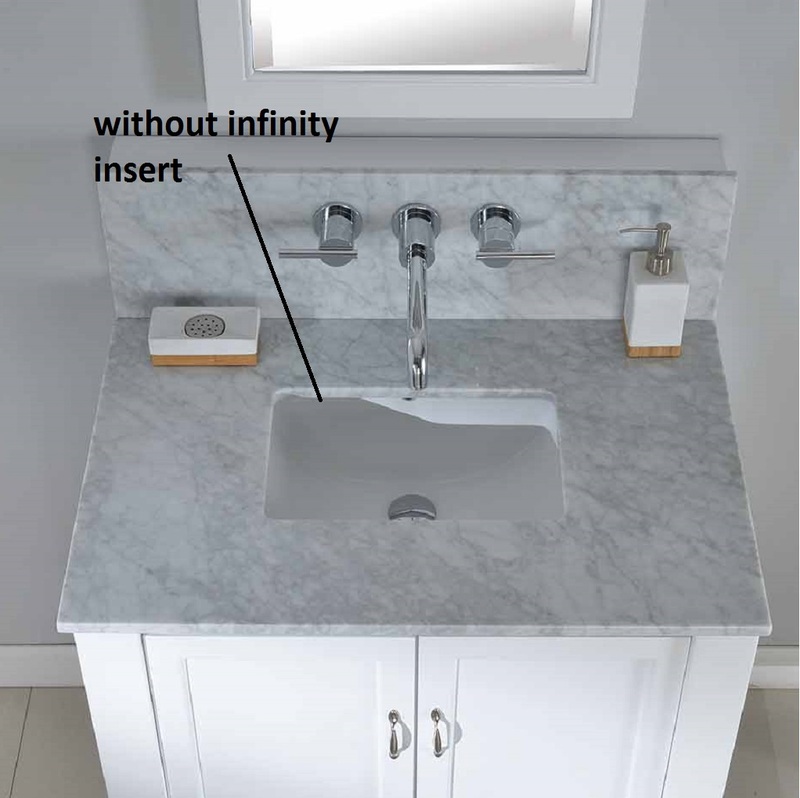 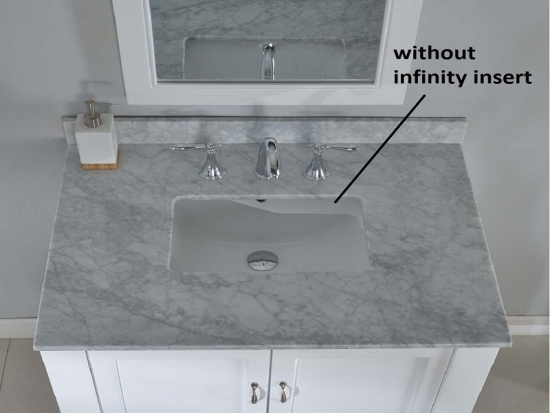 This vanity includes the cabinet, the marble top, undermount rectangular white porcelain sinks and infinity insert to make it a convertible sink. 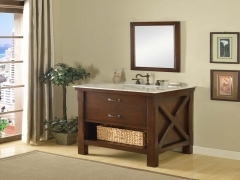 Construction - Solid birch wood frame, legs, door/drawer frames, planks. 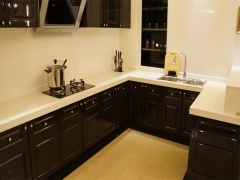 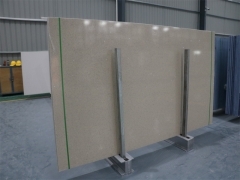 All doors on soft closing mechanism.